Paul Pogba “hid” during Jose Mourinho’s final days as Manchester United boss but is back to his best after winning the “war” with the Portuguese, according to former Arsenal star Emmanuel Petit. Pogba was dropped by Mourinho for his last three Premier League games in charge at Old Trafford, before a startling return to form for the 25-year-old following Mourinho’s dismissal and Ole Gunnar Solskjaer’s appointment as interim manager. The Red Devils have won all seven games with Solskjaer at the helm and France international Pogba has starred – scoring five goals and laying on five assists in that time. United travel to face Arsenal in the fourth round of the FA Cup on Friday night, with former Gunners midfielder Petit explaining the change in Pogba’s approach in recent weeks. “We all know that if you don’t enjoy what you are doing you will probably face big frustration on the pitch, disillusions and Manchester United had to change on the pitch,” he told Press Association Sport. “The results and the behaviour on the pitch, the body language as well….if I look at Manchester United now I see happy players, smiling – I can’t remember the last time I saw that. “When you are happy things are not the same any more and that is exactly what happened with Manchester United. “For me Pogba is one of the best examples. (Marcus) Rashford as well, those guys never smiled and of course they have won seven games in a row. The confidence is back and this team is not the same as the team I saw five or six weeks ago. 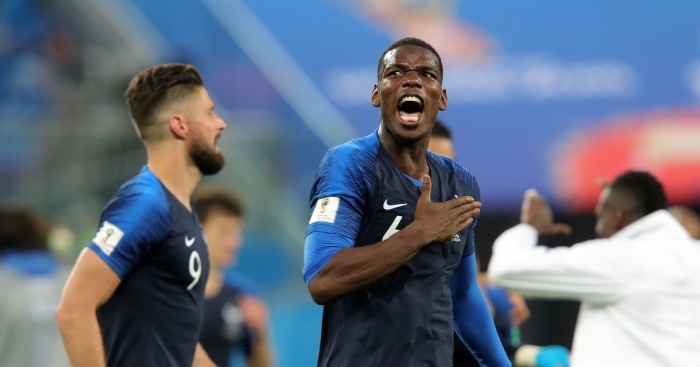 Petit, who lifted the World Cup with France 20 years before Pogba followed suit with Les Bleus last summer in Russia, has warned Arsenal they should be fearful now Pogba is playing with a smile on his face after a power struggle with Mourinho. “We all know that Mourinho is a great manager but with his management, most of the time he is facing his own limits. After two years trouble comes because of the way he talks to the players,” Petit, speaking as a Paddy Power ambassador, added. “It could work occasionally but not every time and I think, mentally, it was a war between the player and the manager. “You cannot sack the players, you can only sack the manager – it is a war the manager cannot win so whoever you are, whatever happens, you must keep that in your mind. “You can be the most prolific and talented manager in the world, be Mourinho, (Pep) Guardiola and (Jurgen) Klopp but they know if the dressing room isn’t there any more you are lost. “He (Pogba) is one of the leaders, he is a world champion. He always tells anyone that he wants to be the key of the team, he loves being under pressure and living under responsibilities. “In the meantime he wants to get attention and love from everyone, he is the kind of player who will not perform on the pitch if he doesn’t get love from his team-mates, the manager, the fans and even the press. “But when he gets that attention, love and affection then all of a sudden he is not the same player. The post Pogba hid during war with Mourinho at Man Utd claims former Arsenal star appeared first on teamtalk.com.